How much is Lauryn Shannon Worth? Lauryn Shannon net worth: Lauryn Shannon is an American actor who has a net worth of $200 thousand. Lauryn Shannon was born in Hampton, Georgia in January 2000. She is best known for being a member of the Shannon family, who are best known for their involvement in reality television. 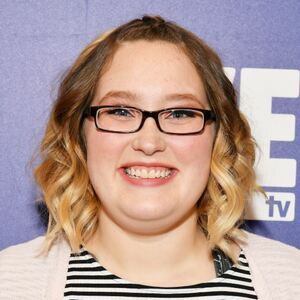 She is the third child of June "Mama June" Shannon and the older sister of Alana "Honey Boo Boo" Thompson. Lauryn Shannon has appeared on the reality TV series Toddlers and Tiaras from 2012 to 2013, Here Comes Honey Boo Boo from 2012 to 2014, and Mama June: From Not to Hot starting in 2017. She is married and has a daughter. Lauryn Shannon was struck by lightning at six years old. Her nickname is Pumpkin. She had her child at 17 years old and has also appeared on episodes of the TV series Steve Harvey and Inside Edition as well as Kids React.